Massachusetts plans to kick-off its own version of the NY Prize by offering $650,000 for community microgrid feasibility studies this quarter. The Massachusetts Clean Energy Center (MassCEC) will issue a request for information (RFI) first, followed soon after by a request for proposals (RFP) offering the funds, said Galen Nelson, director of market development, in an interview Thursday. The RFI will provide an opportunity for relevant actors, vendors, microgrid developers, investors, utilities, community leaders, municipal staff and others to make public their interest in community microgrid development, Nelson said. The state will then make the information available to help teams form in preparation for release of the $650,000 RFP. MassCEC expects to choose a handful of community microgrids to receive the study money. The state has yet to determine if it will offer additional phases of funding, as New York is doing, Nelson said. The NY Prize offers $40 million in three phases, which includes money for study, development and installation of community microgrids. Massachusetts, instead, is likely to offer targeted incentives to draw private investors who will finance the next phases of development. The feasibility studies will provide a red or green light on a project’s worth to communities and investors. MassCEC sees itself helping to arrange finance and business models for worthy projects — those that “have a very strong potential to attract third party investment,” he said. An example might be a project that includes a utility and private developer — possibly a major real estate company with anchor tenants — working with a local municipality on bond financing. In addition to the feasibility study funds, the teams might also pursue other government or utility incentives to help pay for the community microgrid. These include incentives for various parts of the microgrid, such as district energy, combined heat and power, renewable energy and energy storage. Nelson said he’d also like to see the state add incentives for microgrid controllers and energy storage — or other key components that haven’t yet achieved broad market adoption. To win feasibility study funding, Massachusetts will require that the community microgrid projects offer “modest” matching funds. Private developers, communities and utilities may all apply. If a private developer is the applicant, then the community and local utility must sign off on the project. The utility participation is important, Nelson said, because the state would like to see microgrids developed in areas that will bolster the distribution grid. 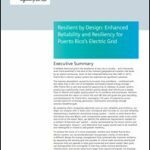 A community microgrid typically assures access to critical services – such as police, fire and medical facilities — during a storm or other emergency that causes a power outage. 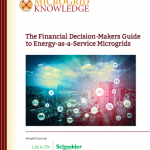 So the Massachusetts RFP will require that the microgrids provide energy to critical services. But as is becoming increasingly common, the definition of ‘critical’ is broadened to include food stores, gas stations and similar facilities that become crucial during extended power outages. 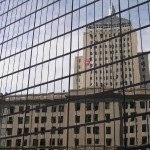 Massachusetts already has taken some initial steps in developing a microgrid market, including providing support for a microgrid map created by the Boston Redevelopment Authority. The map shows areas of Boston that could benefit from a microgrid. The state’s overall goal is to help communities use microgrids to lower energy costs, increase resiliency for community facilities and reduce greenhouse gases. Massachusetts passed an aggressive carbon reduction law in 2008 that requires a 25 percent reduction in greenhouse gas emissions by 2020 and an 80 percent reduction by 2050 from all segments of the economy – not just power plants. Some of the large microgrid players participating in the NY Prize already have expressed interest in developing community microgrids in Massachusetts, Nelson said. But the microgrid market is still in its early stages, so Massachusetts is proceeding with caution. The state wants to be sure that the private companies are willing to step in, for example, and underwrite the cost of an extensive investment grade analysis for a downtown, urban core microgrid, he said. “We don’t want to be too far ahead or behind. I think the investment we are making, and the way we are making it, is strategic and measured,” Nelson said. Elisa, I want to ask if you could interview Dr George Baker, US EMP Commission staff member and ask him about true resilience and sustainability on Micro-Grid in the United States. I am deeply concerned that our standard definition of “sustainability” is not what it should be for our country’s emerging and promising micro-grid future. Regards, Glenn Rhoades. EMP Task Force on National and Homeland Security a 501-c-3 an educational initiative endorsed by the US Congressional EMP Caucus, Colorado Coordinator.